I backed "City of 7 Seraphs" and "The Warden's Call," how do I get my cards and NPC packet? Your Cards will be shipped with your copy of "The Warden's Call" and the NPC packet will be shipped with your physical book. Please make sure you messaged Lost Spheres with your backer numbers for BOTH campaigns to verify this promotion. My card hasn't been charged yet? or When are you charging my card? BackerKit will allow us to process charges each week and we will do so to gain resources to continue to refine the product all the way up until release. When can I get my PDF Backlist Bundle from Lost Spheres? The Backlist fulfillment is currently through DriveThruRPG. This process is a manual one and we will release your bundle code as soon as we process payment. Due to these steps there may be a slight (1 to 2 day) delay in getting you your downloads. When can we expect delivery of the "City of 7 Seraphs" PDF and Book? We are currently targeting an August 2018 release date. We will provide the PDF as soon as it ready which may be as early as a month before the book. We will update you with any delays or other issues as soon as we know. I backed "City of 7 Seraphs" and "The Warden's Call," how do I get my cards and NPC packet? My card hasn't been charged yet? or When are you charging my card? When can I get my PDF Backlist Bundle from Lost Spheres? 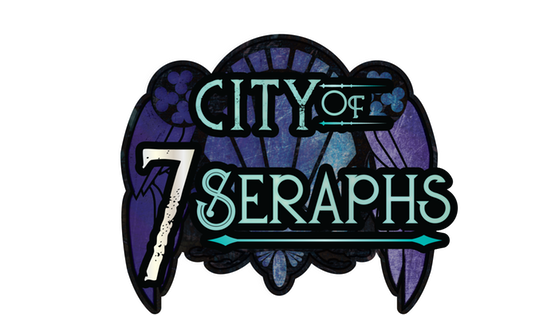 When can we expect delivery of the "City of 7 Seraphs" PDF and Book? I want to know when my reward is shipping. I am having trouble filling out my survey. I would like to make a change to my pledge. I would like help with preorders. I have a issue with my pledge finances. I have a question for the project creator. I have a question not listed here. I want a refund for my initial campaign pledge. I have a question about BackerKit.